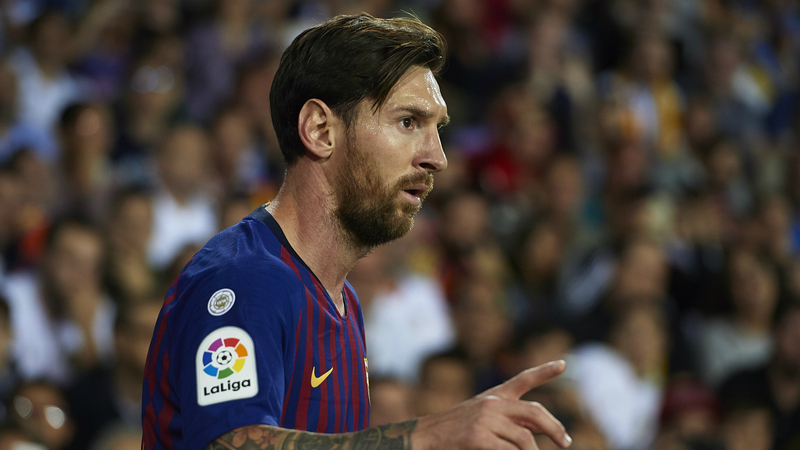 Ernesto Valverde insists he is not taking a risk by including Lionel Messi in Barcelona's squad to face Real Betis. LaLiga leaders Barca have received a double injury boost for the clash at Camp Nou with both Messi and centre-back Samuel Umtiti fit to play. Messi, who broke his arm after falling awkwardly during a collision with Sevilla's Franco Vazquez in a 4-2 win last month, was included in the squad for the midweek Champions League draw against Inter but did not play after failing to receive the medical all clear. Umtiti has not been involved since September due to a knee problem, but Valverde is confident both players are now ready to be involved. "We understand that any player theoretically can play the game, but of course there is always a period where you need to be careful," he said. "The other day we also knew there was a risk but the fact they've been training with the squad I don't think there's a major risk [now]." On Messi specifically, he added: "We'll find out tomorrow if I decide he can play 90 minutes or not. "I think he's lost his fear of taking a fall and provoking further injury, that's out of his head. It does affect you mentally. "You can't be thinking 'I can't do some strange gesture that causes me pain'. I think he can play, he's pretty assured, I think he'll be okay." Valverde also confirmed goalkeeper Marc-Andre ter Stegen is fine to play, despite having been omitted from Germany's squad for the upcoming international window to rest a minor shoulder injury. "That's what's been decided with the national team. We are keeping a close eye on Marc at the moment, but he is able to play tomorrow," Valverde said. "He doesn't have any problems, but we'll keep a close eye on him like we have the last few weeks."